On November 23 (Mon. 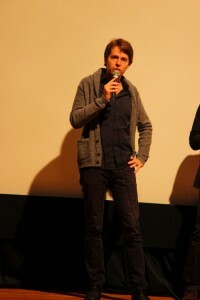 ), Mr. Clement Rauger introduced “The Origin of Movie Vol. 2” of Cinémathèque Française before the screenings of “Collection of Lumiere Brothers’ early works” and “Luis Lumiere.” Mr. Rauger explained these films in order to allow the audience to understand these films well. Regarding “Louis Lumiere,” Mr. Rauger explained the images and works of Luis Lumiere considered by Jean Renoir and Henri Langlois more simply so that we can compare the images and works considered by them. 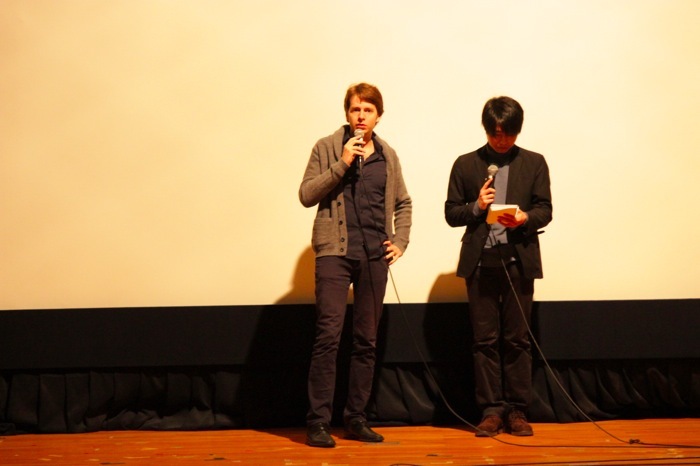 In particular, Mr. Rauger said that this film describes the reality of the 19th century and he provided us other very interesting stories. 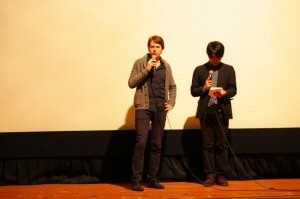 Finally, the MC said, “Collection of Lumiere Brothers’ early works” and “Luis Lumiere” which are to be screened soon, and “Henri Langlois Museum” which will be screened later are all valuable works which we can’t see easily, so I hope you will also enjoy “Henri Langlois Museum.” Then, the talk show ended.